Last Friday morning, Rep. Jim Costa placed a wreath in Fresno, California’s Masis Ararat Cemetery at the grave of an Armenian who died peacefully in San Francisco 56 years ago. Most Americans are more familiar with the Peloponnesian War than they are with the fellow Costa remembered. Even in the San Joaquin Valley, home to roughly 50,000 Armenian-Americans, most Californians would be hard-pressed to pronounce the man’s name correctly. This Sunday, April 24, marks the 101st anniversary of the start of the Armenian genocide. It was on that night in 1915 that the Armenian intellectuals, professionals, editors and religious leaders in Constantinople were rounded up by the Ottoman authorities, and almost all of them were executed. In the years that followed, three out of four Armenians living in the Ottoman Empire were systematically annihilated by their own government: 1.5 million people. The majority of Armenians alive today are descendants of those few who survived. I knew bits and pieces of the Tehlirian story growing up, but it wasn’t until last year when Eric Bogosian published “Operation Nemesis” that I understood what a remarkable and complex tale it really is. Bogosian, an award-winning actor, playwright and novelist, did monumental research to piece together how a reserved, young Armenian from a village in what is today northeastern Turkey would become a central figure in the plot to exact revenge on the masterminds of the slaughter. As the individual chosen to execute Talat Pasha – a man the first postwar Turkish government had sentenced to death in absentia for his monumental crimes, and was hiding in Berlin under an assumed name – Tehlirian no doubt hoped he would be acquitted of the crime, but knew also that he was risking his own life and freedom. Obviously Talat Pasha’s death could not bring back the dead or return the Armenian homeland. If you want to see the definition of ethnic cleansing, visit the eastern half of Turkey where the Armenians once lived. Today there are remnants of Armenian churches and monasteries and unmarked mass graves, but you will find no living Armenian communities. But Tehlirian took the risk and he succeeded. With a single bullet, he had done what the victorious allied nations had failed to do: punished a war criminal. David had slain Goliath. 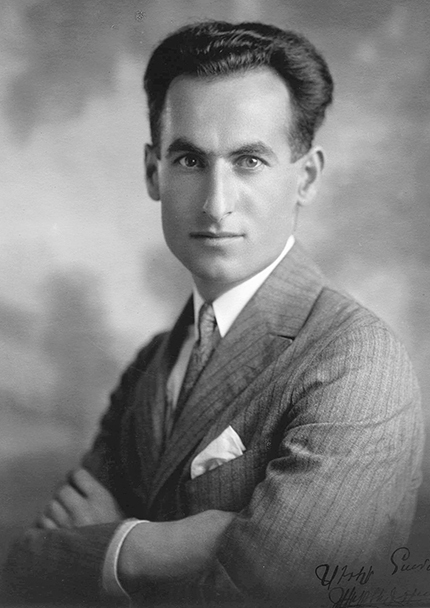 After the trial, Tehlirian would move to Serbia and, later, San Francisco, where he would die in 1960. (He is buried in Fresno because at the time Masis Ararat Cemetery was the only Armenian cemetery in America.) He understood he was viewed as a hero by his people, but he and his wife lived without ostentation. Nevertheless, his grave in Fresno is magnificent, a monument befitting a war hero: a 22-foot-high obelisk with an eagle on top and a pair of cypress trees behind it. Invariably, the 101st anniversary of any event is a shadow of the centennial. That’s especially true when it is the anniversary of an occasion as solemn as the commencement of a genocide. But there are links between the Armenian genocide, the Holocaust, the Cambodian killing fields, Bosnia, Rwanda, Darfur, and the violence that ISIS has unleashed on the Armenians and Yazidis in Syria. The last stage in a genocide is often the first stage of the next one. Moreover, Turkey still refuses to acknowledge the crimes of the Ottoman Empire, leveraging its geographic and geopolitical clout to bully its allies – including the United States – into euphemism or silence. The fact is, the Armenian nation is statistically a diaspora nation, with seven of every 10 Armenians in this world living outside the nation state. Consequently, the genocide is, as Pope Francis eloquently described it last year, an open wound for Armenians. We all know what happened to our ancestors – our own parents, grandparents or great-grandparents. And so while we are now at the centennial plus one, remembering the Armenian genocide is as important as ever. Friday’s wreath-laying and remarks at the Tehlirian grave were especially meaningful. It may not have marked the first time that a U.S. congressional representative had visited the monument, but it seems to be the first time in memory. Speaking and standing beside Costa was Raffi Hamparian, chairman of the Armenian National Committee of America. Whenever we speak of genocide, we begin first with the numbers. The 6 million. The 1.5 million. But it is not merely the souls that are lost; it is the stories. It is the sense of self. It is the dignity that comes with being human. There was a good crowd on Friday. Tehlirian, after all, is the closest thing the Armenians have to an avenging angel. Tehlirian gave something to the Armenian people that was taken from even the survivors: a small taste of the pride that walks hand in hand with justice. This entry was posted in Uncategorized and tagged Armenian Genocide, Tehlirian. Bookmark the permalink.